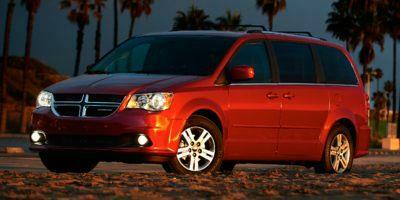 The Grand Caravan has an excellent safety rating and a well-rounded base model with plenty of available upgrades. Standard equipment gets you 17” steel wheels, heated/powered side mirrors, remote entry/start, sliding side doors, triple-zone climate control, splitting/folding rear seating, 6.5” touchscreen, Bluetooth/USB integration and six-speaker audio system. Upgrades can add features like alloy wheels, foglamps, remote start, leather upholstery, roof rails, powered-sliding side doors, heated/powered front seating, overhead storage bins, rear sunshades, heated steering wheel, 115-volt power outlet, GPS, and more. A 3.6-liter V6 engine powers this van, making 283 horsepower and 260 pound-feet of torque.